A native of Milwaukee, Wisconsin, Gordon F. Boucher began his automotive career in 1956 as a salesperson for a local dealership in Milwaukee, Wisconsin. In 1977 Boucher opened his first Lincoln-Mercury dealership in West Allis, and today Boucher owns and operates 18 dealerships in Southeastern Wisconsin. The dealerships are run by Gordie Boucher’s sons, Frank Boucher and Gordie Boucher, Jr. and his daughter Julie Boucher Sellars. The Boucher Automotive Group now ranks among the top 75 dealer groups in the nation according to Automotive News. The Boucher Group employs over 1,200 hard-working people, and consistently earns strong placement on Deloitte’s “Wisconsin 75” ranking, which celebrates the largest privately held companies within Wisconsin. Since 2010, our employees have voted the Boucher Automotive Group among the Top 5 Workplaces in Southeast Wisconsin based on the Milwaukee Journal Sentinel’s “Workplace Dynamics” survey. Boucher has always had a strong presence in the Wisconsin community. Since 1985, Boucher has sponsored and underwritten the costs of the Muscular Dystrophy Association Summer Camp. In addition to MDA, Boucher takes pride in sponsoring the Vince Lombardi Charity Golf Classic, Vince Lombardi Walk/Run for Cancer, Bobbie Nick Voss Charitable Funds, Juvenile Diabetes Research Foundation, numerous Wisconsin Veterans organizations, and several more. Gordie Boucher is involved in many organizations, including ADAMM, (the Automobile Dealers Association of Mega Milwaukee) and helped formulate the Foundation for Wisconsin Auto and Truck Dealers. 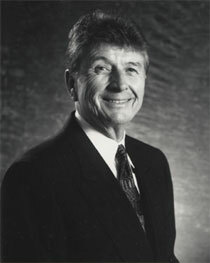 In addition, in 1996 Boucher was recognized as Time Magazine’s Dealer of the Year. We ride with you every mile, before, during and after the sale. It is more than our motto at Boucher, it’s our mission. Our professional Sales Consultants, Sales Managers and Business Managers have three primary responsibilities to you, our guest: To listen and find the best vehicle for you, ensure that it fits your budget, and do it in a timely and professional manner. Our ultra competitive, market-based pricing philosophy and 25 strong lending institutions help get you the best terms. After the sale, we are there to assist you with any vehicle feature or functionality questions. Our award-winning factory certified technicians, knowledgeable service advisors and efficient collision repair teams are trained to protect your investment every mile, for the life of your vehicle. 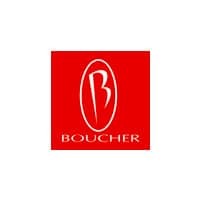 It’s been the Boucher Way for over 39 years! 29 new car franchises, 60+ used car makes, 10,000 vehicles in stock. The chances of finding the perfect vehicle for you are higher with Boucher. And if we don’t have it in-stock, we’ll find it and bring it here for you. Wisconsin family-owned company for 40 years. Our sales consultants undergo extensive product knowledge training to ensure you the most accurate information. Boucher’s service and parts teams are all required to be certified through the manufacturer; which includes routine refresher and product update courses. We take our reputation seriously. Our group is proud to have an A+ rating from the Wisconsin Better Business Bureau, and high rankings on all Google Review sites. The Boucher Auto Group has ranked among the Top 6 Workplaces in Southeastern Wisconsin for the last 5 years according to The Milwaukee Journal Sentinel Annual Top 100 Workplace Employee Poll! We’re always looking for quality used vehicles, and we’ll make a competitive offer on yours. You don’t even need to buy a car from us! We’ll make you an offer and write you a check on the spot! We utilize a third party company that monitors virtually every automotive internet website. We do this on a daily basis to ensure that our prices are always the most competitive in the market. We will get you the BEST DEAL POSSIBLE. NO GAMES. The size of our dealership group, along with our reputation, allows us the luxury of the most aggressive loan terms possible from our extensive list of more than 30 lenders with strong and solid reputations. Before any vehicle is ready for your eyes, it is meticulously inspected by our factory trained and certified technicians. And, as an added value, we’ll provide you with a complete CARFAX report for peace of mind.